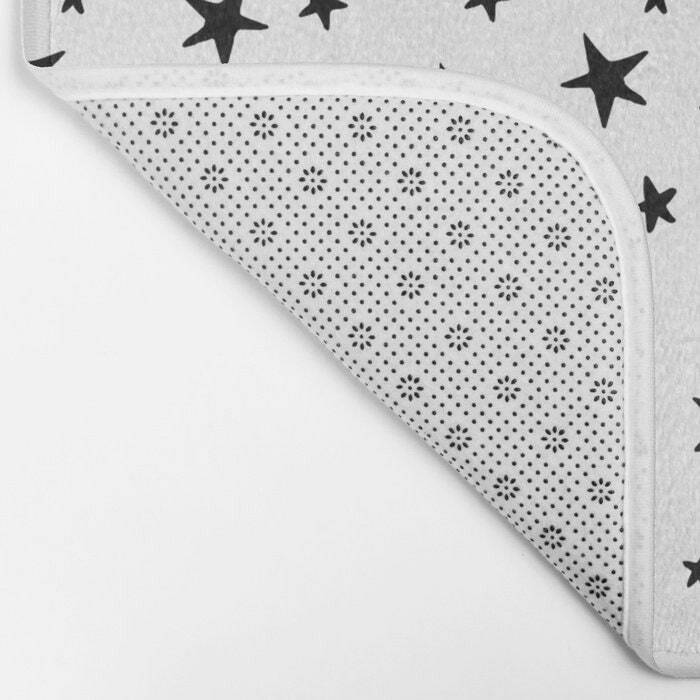 Shower Curtain - Mini Star Print - Black on White - 71x74 - Bath Curtain Bathroom Decor Accessories - Optional: Bundle with a Bath Mat! 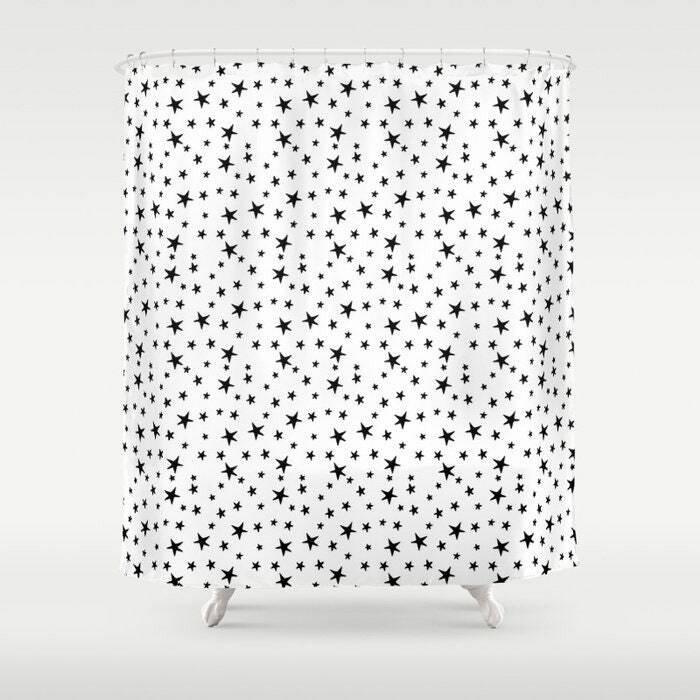 Shower Curtain - Mini Star Print - Black on White - 71"x74" - Bath Curtain Bathroom Decor Accessories - Optional: Bundle with a Bath Mat! BUNDLE with our matching Bath Mat in the options!! 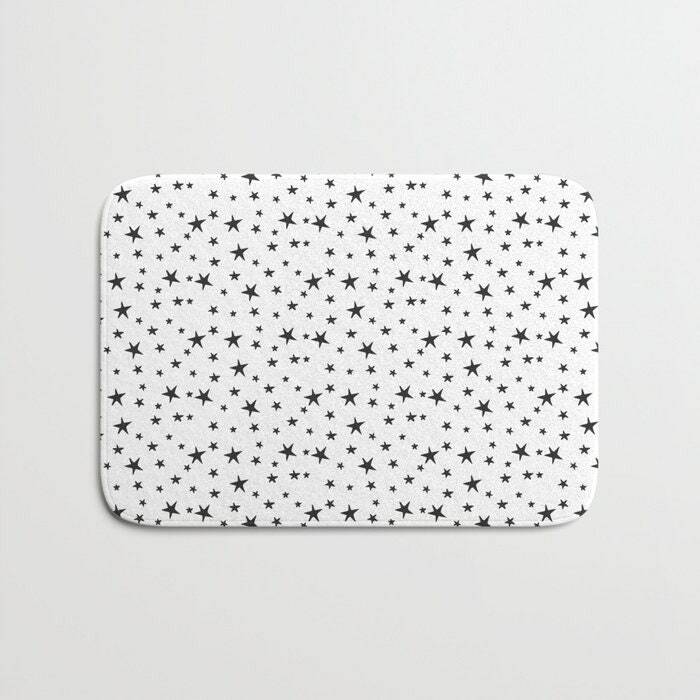 Bath Mats are fuzzy, foamy and finely enhanced with brilliant art. With a soft, quick-dry microfiber surface, memory foam cushion and skid-proof backing, our shower mats are a cut above your typical rug. Keep them clean with a gentle machine wash (no bleach!) and make sure to hang dry. In two sizes: 17"x24" or 21"x34". This shower curtain will be made to order and should take about 3-5 business days to ship, then allow additional time for shipping based on destination.